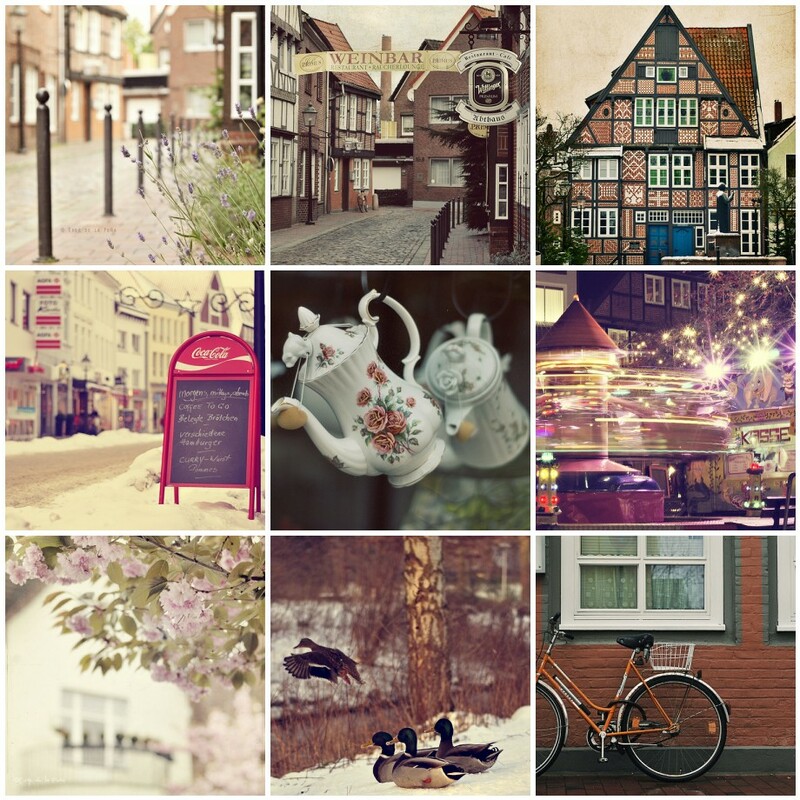 My first post is going to be about the city I live in: Buxtehude. I guess I'm lucky to live here. Everything is so perfect, so nice, like living in a fairy tale. Wishing you a lovely, fresh start dear Euge! Your place already looks wonderful and nothing better than a collage of your beautiful photos to begin with! Hi girls!! Thank you so much for stopping by!! I have no idea about blogs and this design thing is driving me crazy! When I finish with all the details I hope to start posting frequently and interact. Looks like fun! Danke Ivy... Germany is beautiful...the only thing is driving me crazy is the language! So complicated!!! What a gorgeous place to live. Your photos are incredible and I can't wait to see more. me has dejado atontada con tanta belleza! te voy a linkear a mi blog!!! te visitare mas seguido! I so love,love this post today!!! Wow, llegué a tu blog a traves del flickr. Estoy encantada. Me encanta tu blog. Bueno aún no he leido nada, pero solo ver las fotos. Genial. Que nostalgia me entra. Mi bonito Alemania. Ahora que lo veo, lo echo de menos. (Soy alemana y vivo en Madrid). Euge!!!!!!!!!!!!!!!!!! tienes un blog precioso. tus fotografías son tan dulces, y tienes un estilo único. Que lugar tan hermoso. Eres afortunada!! !